Detroit-based Samaritas, a faith-based nonprofit, today announced the hiring of Kelli Dobner as chief advancement officer of the Judson Center. Most recently, Dobner served as chief development officer of the Judson Center, where she was most proud of creating “a culture of ambassadorship.” Prior to Samaritas, Dobner served in development in the Southfield offices of the American Heart Association and the American Diabetes Association. 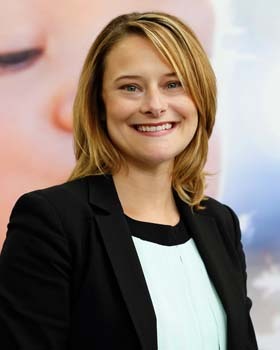 Earlier in her career, Dobner worked in publicity and development for a variety of organizations and film studios in Los Angeles. Dobner received her master’s degree in communication and media effects from Wayne State University and her bachelor’s degree in communication and public relations from Oakland University. In 2016, Dobner was named as an Oakland County Elite 40 Under 40 by L. Brooks Patterson, county executive of Oakland County. She was also the recipient of the National Strategic Effectiveness Award from the American Diabetes Association, the Graduate Professional Award twice from Wayne State University, and the Donald P. Durocher Memorial Award from the Public Relations Society of America.